Prior to entering politics, Morelli worked for 25 years at Dofasco, rising to a senior management role before retiring. He also lectured at McMaster University in business management. His political career began with a stint as a Hamilton-Wentworth Catholic District School Board trustee in 1988, followed by a successful run for Ward 3 Councillor in the 1991 election. He was re-elected in 1994, 1997, 2000, 2003, 2006 and 2010. He served for years on the Police Services Board, including a decade as the Chair between 2000 and 2010. He returned to the Board last year after Mayor Bob Bratina resigned his position and resumed his role as Chair. His list of roles includes past president of the Ontario Association of Police Services Boards and sitting on the Veterans' Committee, Seniors Advisory Committee and Advisory Committee for Persons with Disabilities. He spent several years on the board of the St John Ambulance Hamilton Branch, and was admitted to the Order of St John in 2001. Each Month, St Ann Catholic School in Crown Point East awards a Bernie Morelli Community Service Award to a primary and a junior/intermediate student. One of Morelli's key legacy projects will be a new seniors centre at the site of Scott Park School, which Council approved last year. In recent years, Morelli also grew more committed to transit improvement and complete, walkable streets, citing the changing demographics of the city and the health benefits of active transportation. Ward 4 Councillor Sam Merulla, his colleague and friend, announced the news just before midnight, writing, "Each of us not only grieves at the passing of a tremendous individual who has given so much to so many but also for the loss his family suffers. Our thoughts and prayers are with Bernie’s family at this most difficult time." On behalf of Hamilton Police Service, Chief Glenn DeCaire wrote, "We know that Mr. Morelli faced the most recent health challenges with the same determination, vigour and commitment that he displayed in his daily duties as an elected official." Morelli is survived by by sons Mark and Rick and daughter Christina. Bernie passed away peacefully. Bernie is survived by loving and dedicated companion, Marsha Duncan. Proud father of Christina (John), Mark (Nadine) and Ricky (Yvette). Loved son of the late Joseph and Matilda (Calzonetti). Dear brother of the late Ron (Liz), Larry (Lois), Carol (Danny) Morosin and Joey (Mary). Bernie will be remembered fondly by his Aunt Yolanda Fleming (Calzonetti) and Uncle Vince Calzonetti, his many nieces, nephews, cousins, extended family, friends, colleagues, and constituents. A ferocious champion for the people of his home, Hamilton, Bernie was a dedicated Ward 3 City Councillor. He also served with a genuine passion on and was very proud of his work with the Hamilton Police Services Board. Bernie also enjoyed immensely his many pets and the time he spent with them. Our family thanks Bernie's doctors and caregivers at St. Joseph's and the Juravinski Hospitals for their professional and compassionate care. Visitation will be held at P.X. DERMODY FUNERAL HOME, 1919 King Street East on Saturday and Sunday, January 18 and 19 from 1 to 4 and 7 to 9p.m.. A Funeral Mass will be offered at St. Patrick's Catholic Church on Monday, January 20 at 10:30 a.m. Interment, Holy Sepulchre Cemetery. In lieu of flowers, donations to the Nicholas Morelli Memorial Fund (a Non-Registered Fund) c/o 45 Ivy Lea Place, Hamilton, Ontario L8T 3R5 or SPCA would be appreciated. Online condolences may be made at www.dermodys.com. You were always helpful to me... RIP Bernie. The Hamilton Police Service is saddened to learn of the passing of the Chair of the Hamilton Police Services Board and long time city councilor Mr. Bernie Morelli. We know that Mr. Morelli faced the most recent health challenges with the same determination, vigour and commitment that he displayed in his daily duties as an elected city official. Mr. Morelli served the residents of Hamilton in the capacity of a Trustee in 1988 and then as a long standing member of city council since his election in 1991. Bernie represented the citizens and the Ward 3 constituents with great pride. Mr. Morelli served at great length as a member of the Hamilton Police Services Board and as the Chair of the Board for over 9 years. Bernie held a commitment to public safety and maintained the focus of making Hamilton safer for all citizens. On behalf of the women and men of the Hamilton Police Service, Deputy Chief Girt and Deputy Chief Leendertse we offer our heartfelt condolences to the Morelli family, the Hamilton Police Services Board and to Mayor Bratina and the family of councilors who have had the privilege of serving the citizens with Mr. Morelli as a colleague. 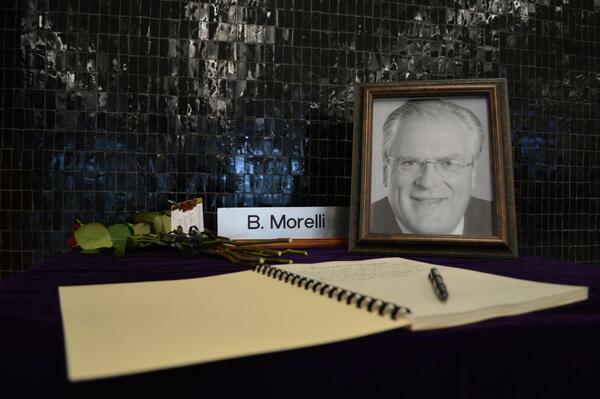 It is with deep sadness that we mourn the passing of Hamilton Police Service Board Chair and Councillor, Bernie Morelli. Bernie first served as a member of the Police Services Board from December 1994 - November 1997, during that time serving as Chair from 1996-1997. 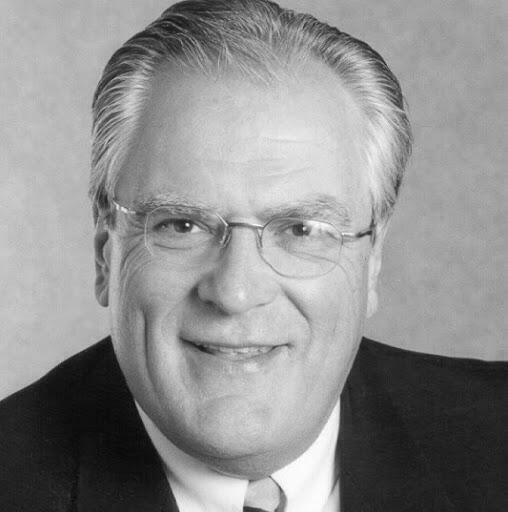 Bernie once again served as a member of the Hamilton Police Services Board from December 2000 - present, serving as Chair from 2000-2009 and again from October 2013 - present. During his time on the board Bernie was also the President of the Ontario Association of Police Services Board (OAPSB) from 2006-2007. For those that new Bernie, it was evident he had a love of policing and the important role our police personnel play in our community. His passion ran deep and close to home for his beloved Hamilton Police Service. His commitment to the board and policing is unparalleled among his Council colleagues, and his insight and leadership on the board will be missed. On behalf of the Hamilton Police Services board we offer our sincere condolences to his family, friends and loved ones. His memory will live on. Further details regarding funeral arrangements and opportunities for the public to express their condolences will be provided shortly. I was very sadened to read that my long time cousin Bernie had passed on. I wish my deepest condolences to his family. He was one of the last remaining Morelli's in Hamilton and will be greatly missed.